SAA 12th Conference Shines With Excellence! Previously printed in American Suzuki Journal 34.4. Reprinted with permission. Copyright © 2006 Suzuki Association of the Americas, Inc.
*Carol Ourada is on the faculty of the Wheaton College Community School of the Arts, teaching primarily Suzuki cello, and also violin, viola, music reading, Creative Ability Development improvisation and cello choir. She has taught early childhood music for 25 years. In addition, Carol teaches and coordinates in the Wheaton College Community Outreach for Developing Artists, CODA, an initiative that began in 2006, which has grown to offer early childhood and Suzuki violin and recorder classes to over 1,000 at-risk children, including 100 violinists, 40 recorders in connection with two school districts. Carol was the 12th SAA Conference Coordinator and served on the SAA board of directors. In 2007 she was awarded ASTA Outstanding Studio Teacher of Illinois. Carol is a clinician at workshops and institutes around the country. She studied violin with Dr. Suzuki in Matsumoto in 1985. 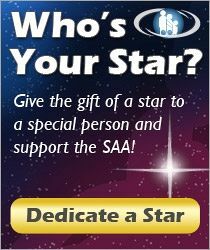 SAA Conference 06—Always With Excellence! 4 days ago Helpful Suzuki Violin Guide(YouTube) for violin students and self learners. 7 days ago Helpful supplemental video series for Suzuki teachers/students! 14 days ago Letting unplanned things happen?